Since annuals are with us only for a particular season and their lives tend to be fairly short, they put a great deal of energy into looking fabulous for the duration. That makes them valuable assets when lots of color is desired. Generally speaking, winter annuals are planted in autumn and carry on until the weather heats up in late spring. 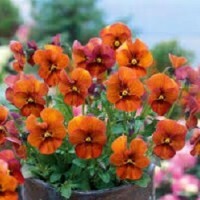 Summer annuals are planted after risk of frost is past and continue to do their thing until frost strikes. Under each category, you will find only a small sampling of what we carry in the nursery since it would be quite impossible to show all the different types of plants that we get. 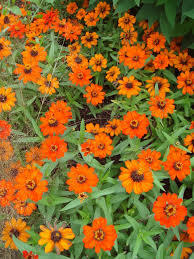 We also have seeds for some of the more common annuals. The best idea is to come into the nursery, see what is currently available and have some fun!